I'm so mad ... I should just run away! I was so Mad by Mercer Mayer was published in print in 1983. It is a beloved story about Little Critter as he tackles a challenge every young child must take on ... feeling angry. Everything he wants to do on this particular day seems to be met with resistance. His mom says no to frogs in the bathtub, he can't play in the clean sheets and even painting the outside of the house is verboten. Everyone keeps telling Little Critter "No" and it is making him so mad he wants to run away. 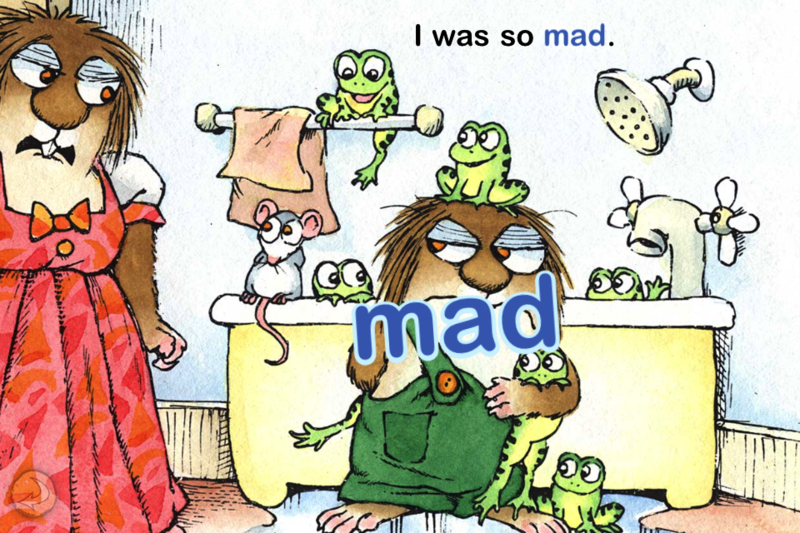 Young children and their parents will identify with this title and many other titles in the Little Critter collection for their accurate portrayal of the strong emotions that young children need to navigate. Little Critter is having a bad day ... from getting in a fight with Mom over frogs in the bathtub, to arguing with Dad over playing with Sister's dollhouse, nothing Little Critter does seems to be right. Grandma says, "No, you can't." when he asks to play in the clean sheets and even Grandpa won't let him play with water ... or paint. Little Critter was so mad ... he didn't want to play anymore, deciding that he should 'run away' instead. He packs his toys and some cookies to eat. When he is on his way out, however, Little Critter runs into some friends who ask him to join them playing ball - so he does that instead. "I'll run away tomorrow if I'm still so mad," he thinks to himself.